Since the South Korean ferry tragedy, all big entertainment names have postponed activities to keep attention on the incident. 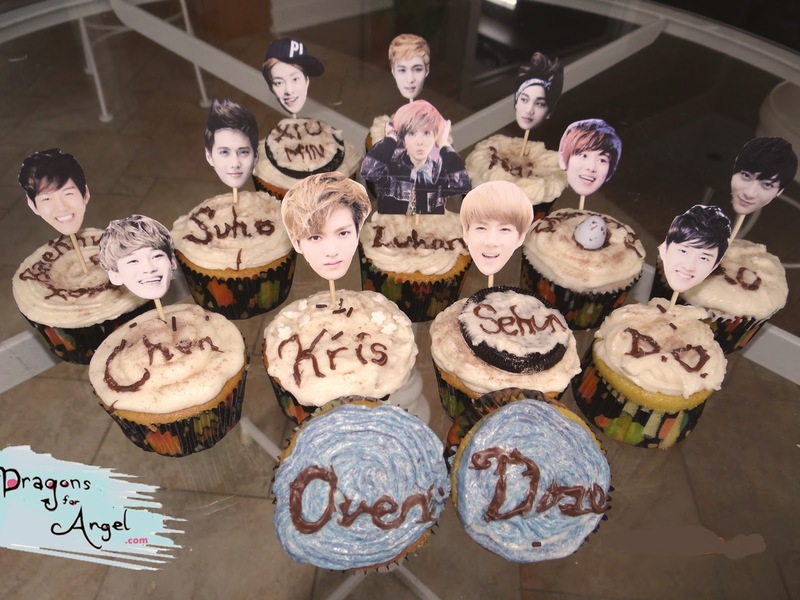 After a long hiatus, EXO's "Overdose" has finally been released. 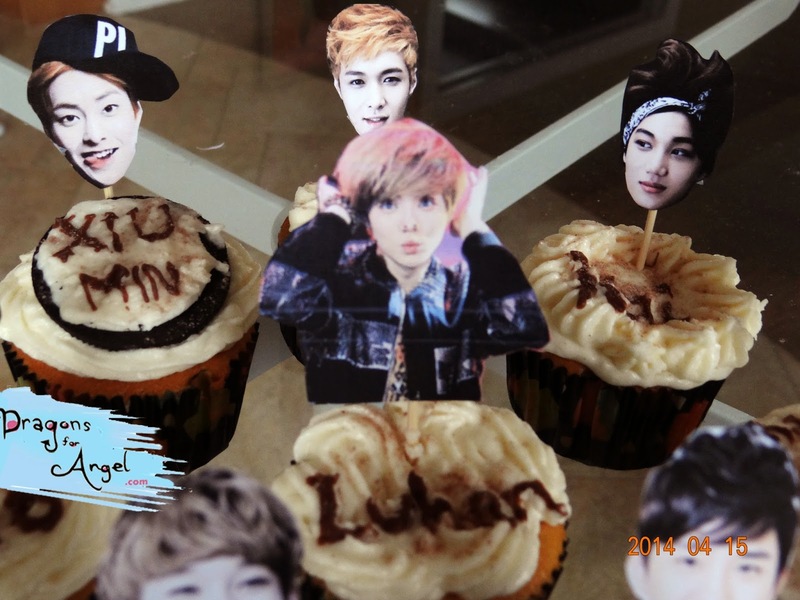 My sister and I actually made these cupcakes weeks ago and they were shared like crazy on Twitter. 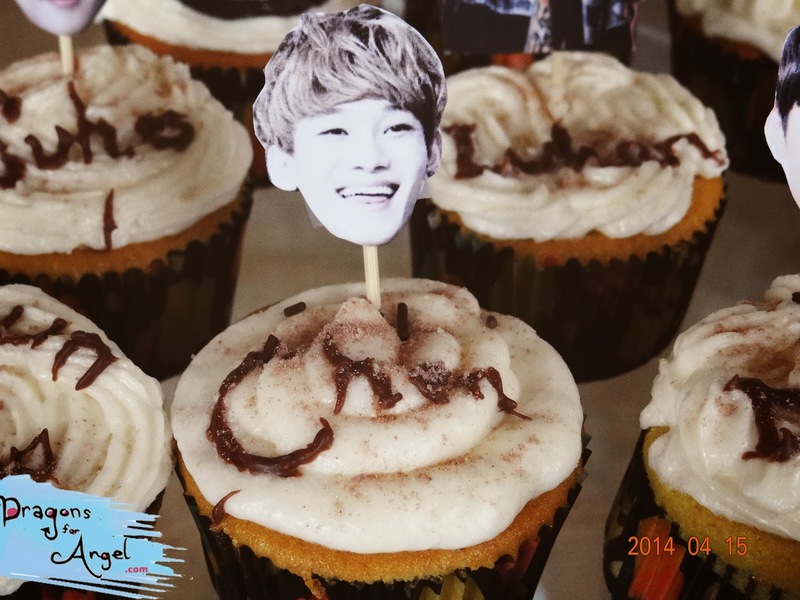 Now is finally the time to reveal all the making-of pictures of pretty icing and even prettier EXO faces. Here's the $2 icing tool we got from the dollar store. 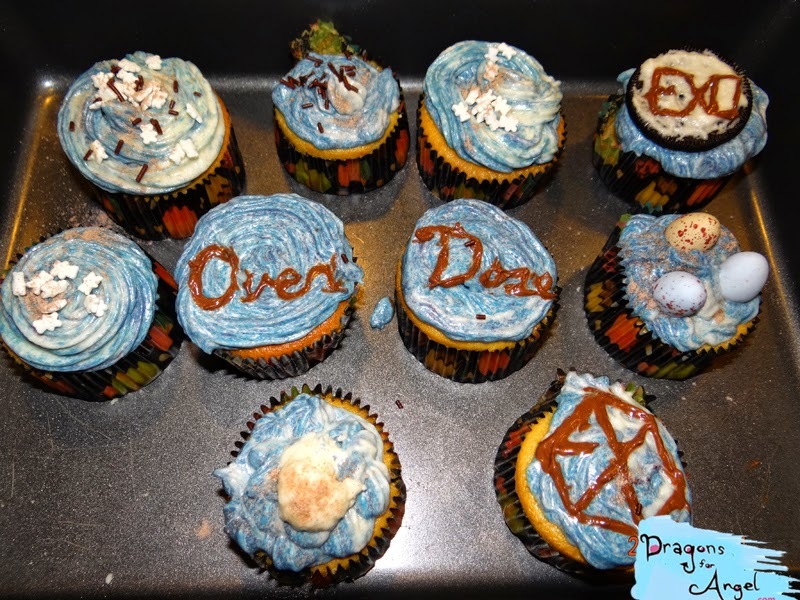 Most of the cupcakes using white vanilla icing, but for some we mixed in blue and red food colouring. My sister demonstrating her artistry with the icing. The cupholders were also bought from the dollar store. We added too much butter to the sugar, and it dripped. I would recommend using a greater proportion of sugar to butter when mixing the icing! 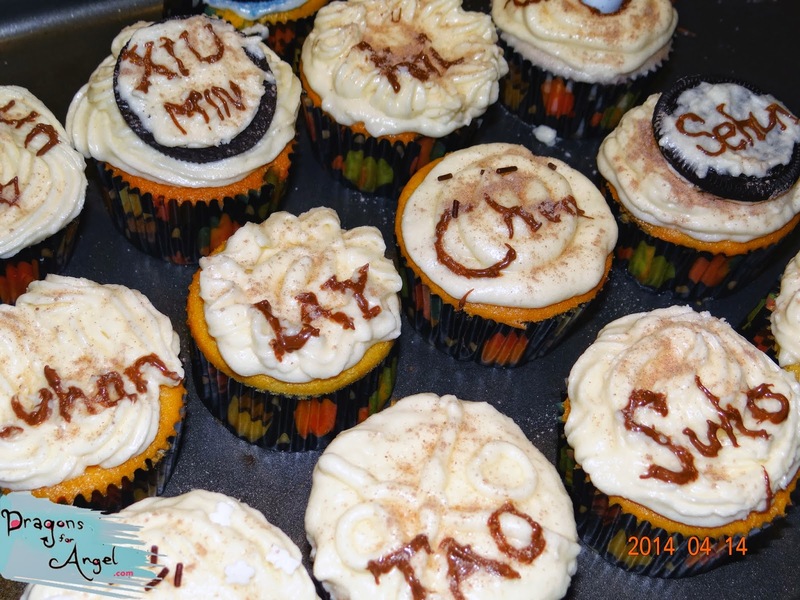 Here are the basic icing designs! 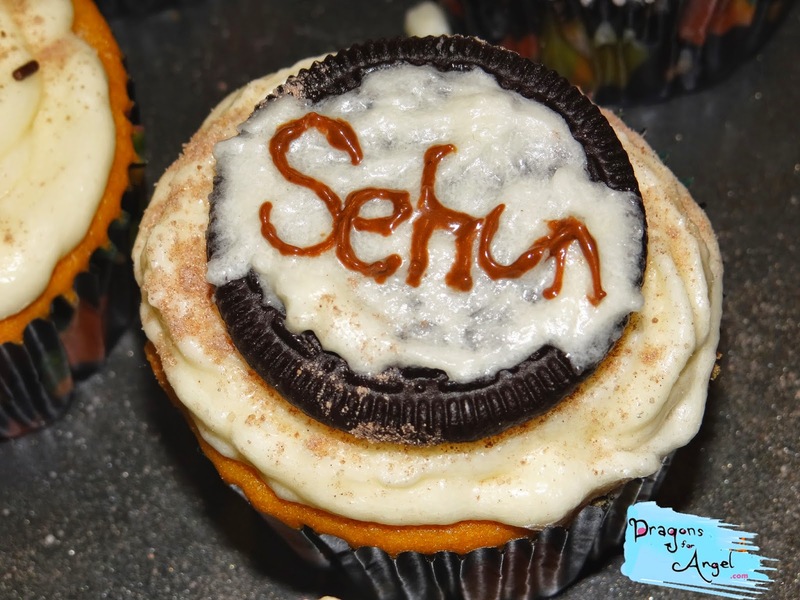 For Sehun and Xiumin, we wrote their names with melted chocoalte onto oreo cookies. 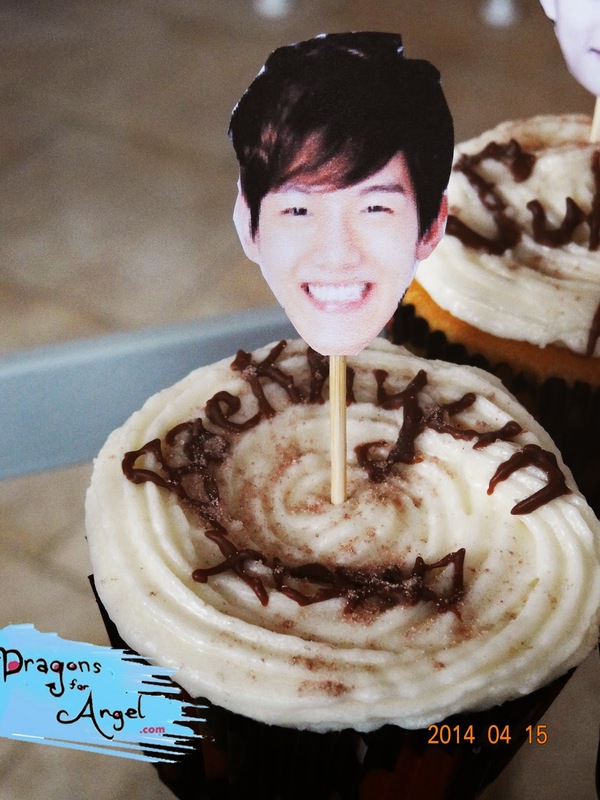 Have some fun when you're making these! 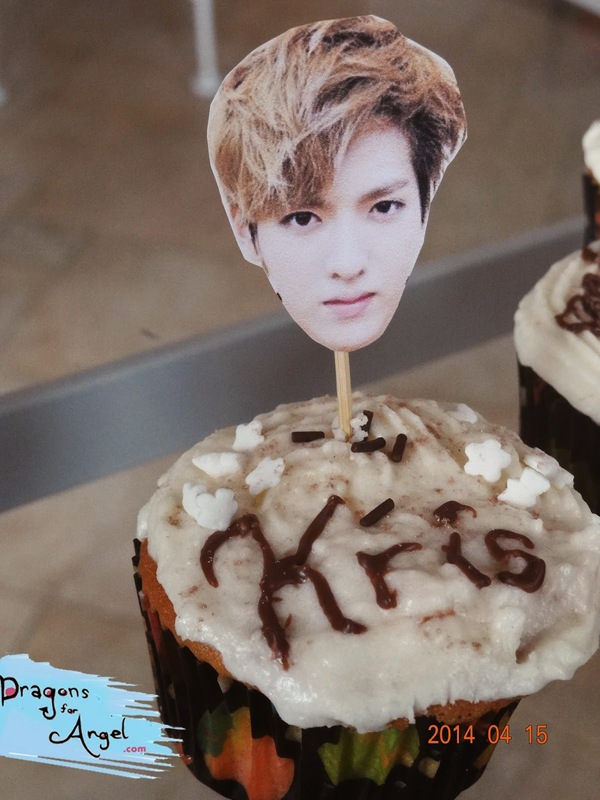 Since we had 24 cupcakes and only 12 members, the rest were plate decor cupcakes. We purchased discounted Easter eggs, teddy bear and chocolate sprinkles as ornament. Next, I printed out headshots all scaled to the same size for all 12 members. 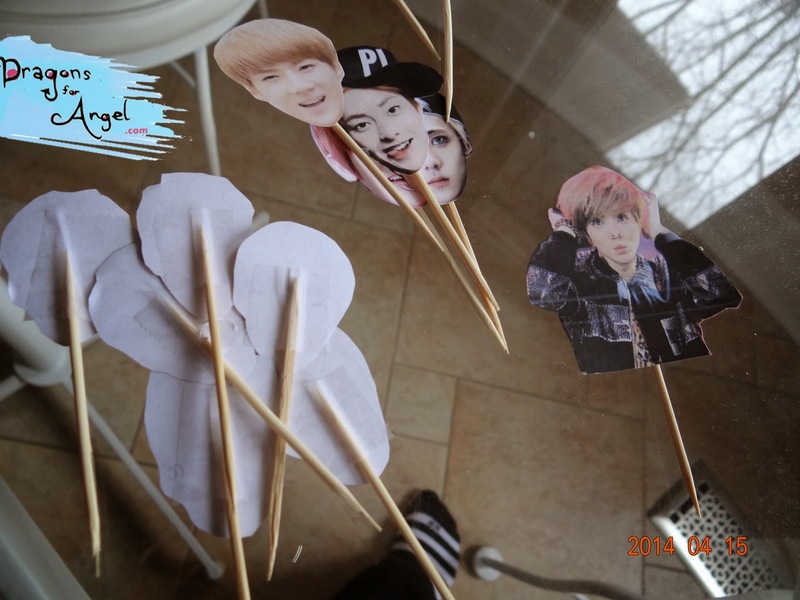 Cut them out, and tape them to toothpicks. 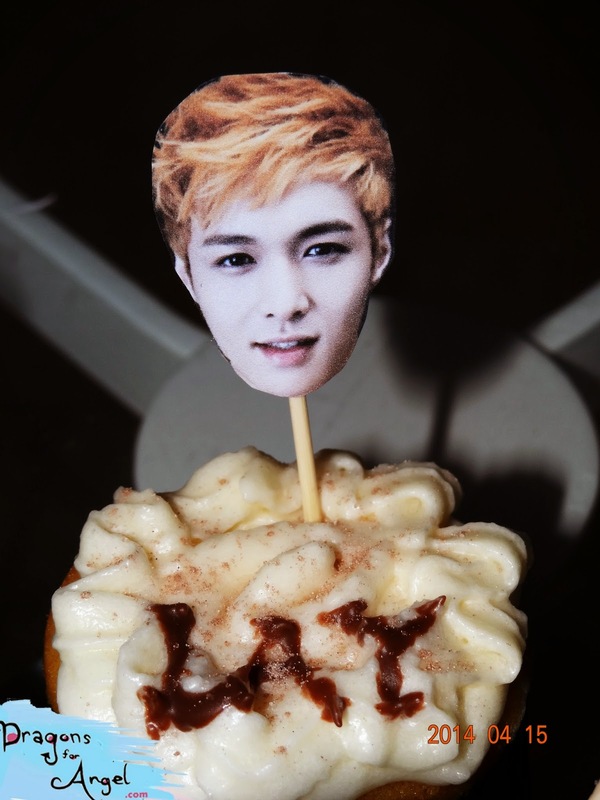 This picture of Luhan was so funny that I just had to use it! 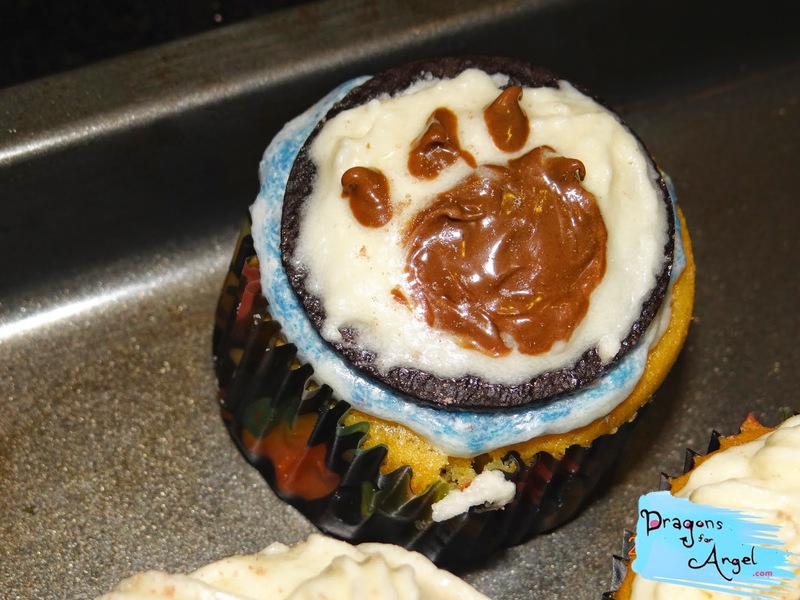 Don't forget a WOLF cupcake as a throwback! RELATED POST: Huge CRAYON POP Flash Mob in Toronto! And there you have it! 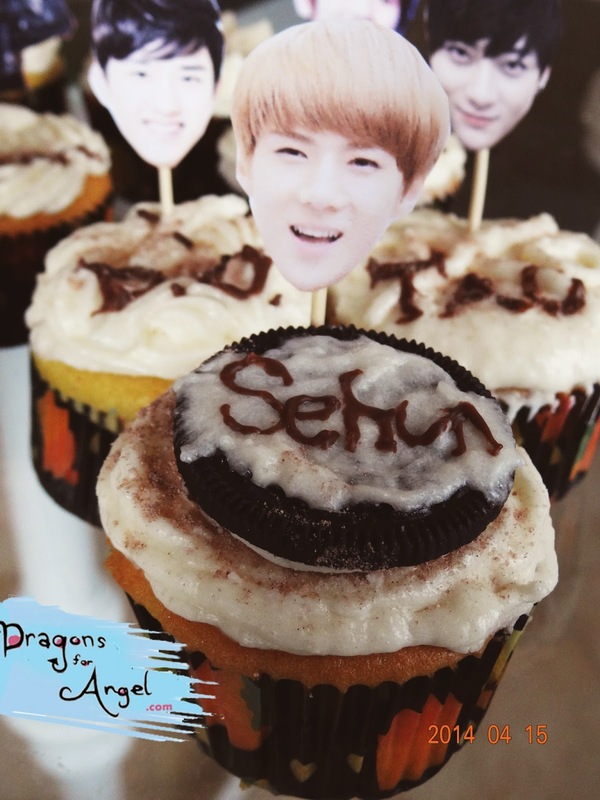 Enjoy your yummy EXO cupcakes while listening to their new comeback :) Somebody call a doctor... 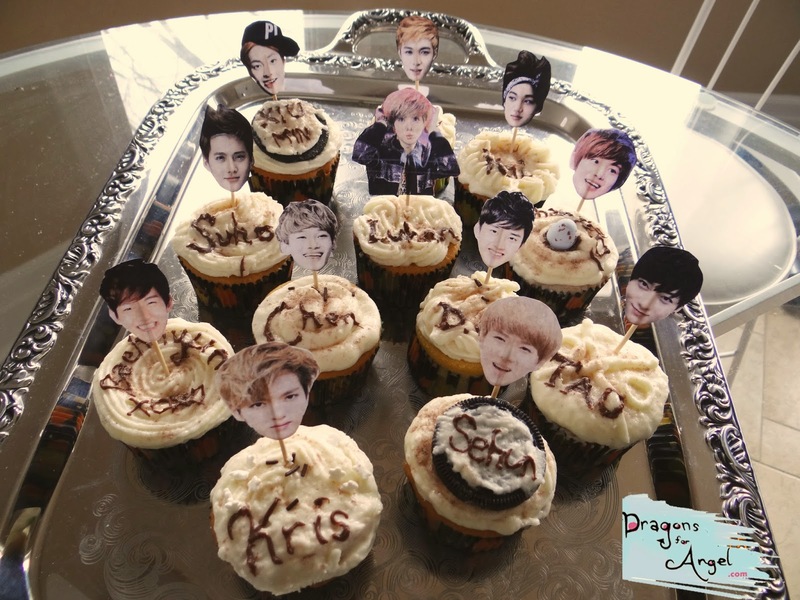 I'm going to overdose on these cupcakes! 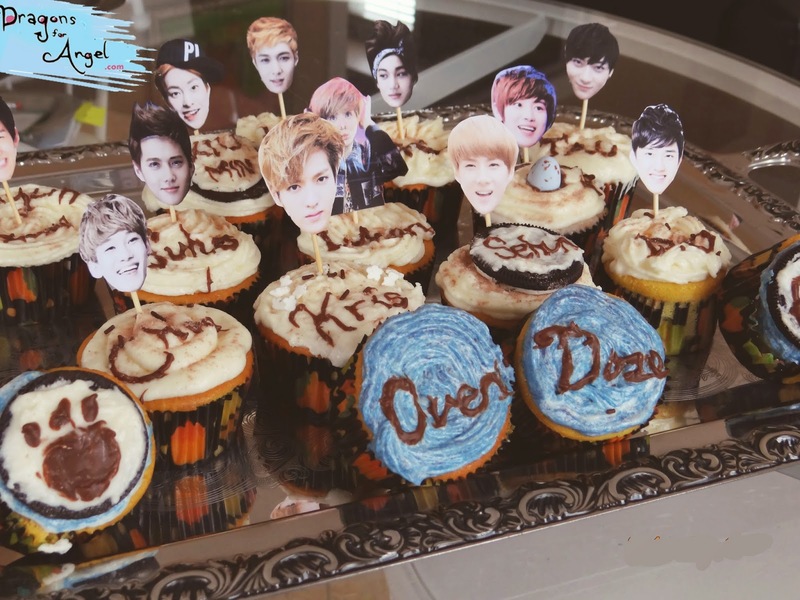 Let me know if you've ever baked K-pop themed desserts!